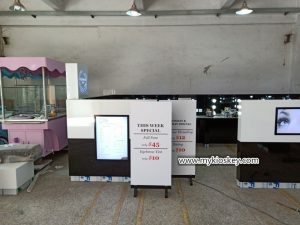 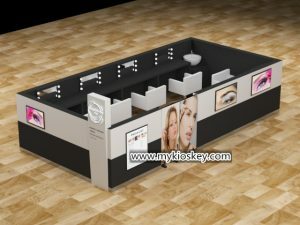 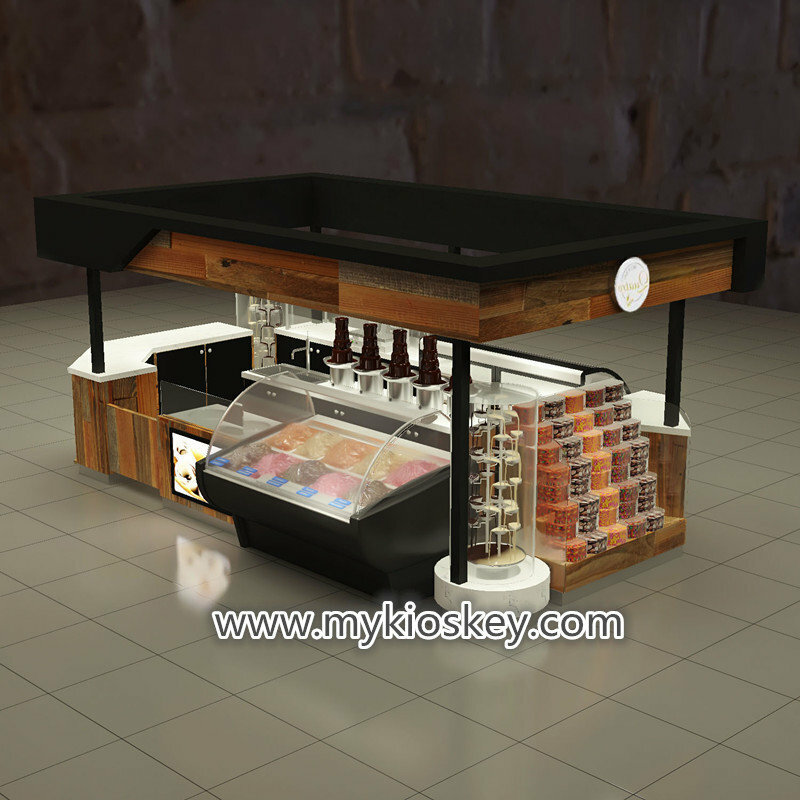 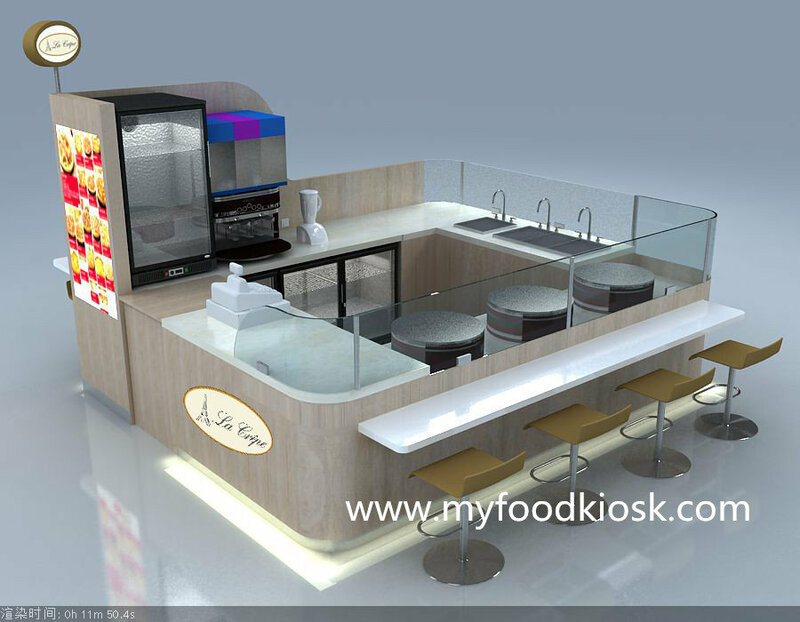 Professional custom australia eyebrow bar design , here share one style big size australia eyebrow bar for you , it is black and white match color , very elegant design , there are total 5 station for eyebrow , one sink and one small cash desk and then with long long seating area , inside of kiosk have glass cabinets for some products , front of kiosk we put many light posters , also have a logo tower , based on customers needs , we also make byobu door , very simple but high-end , cost also is very competitive . 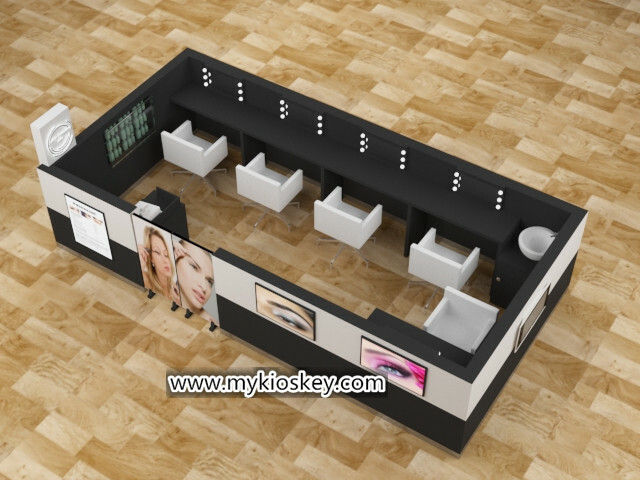 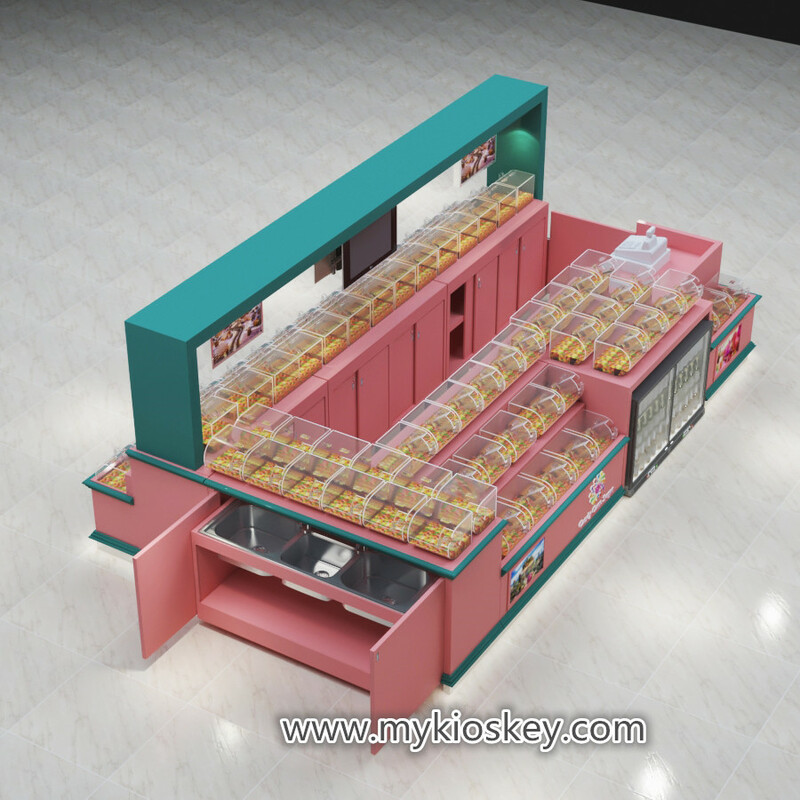 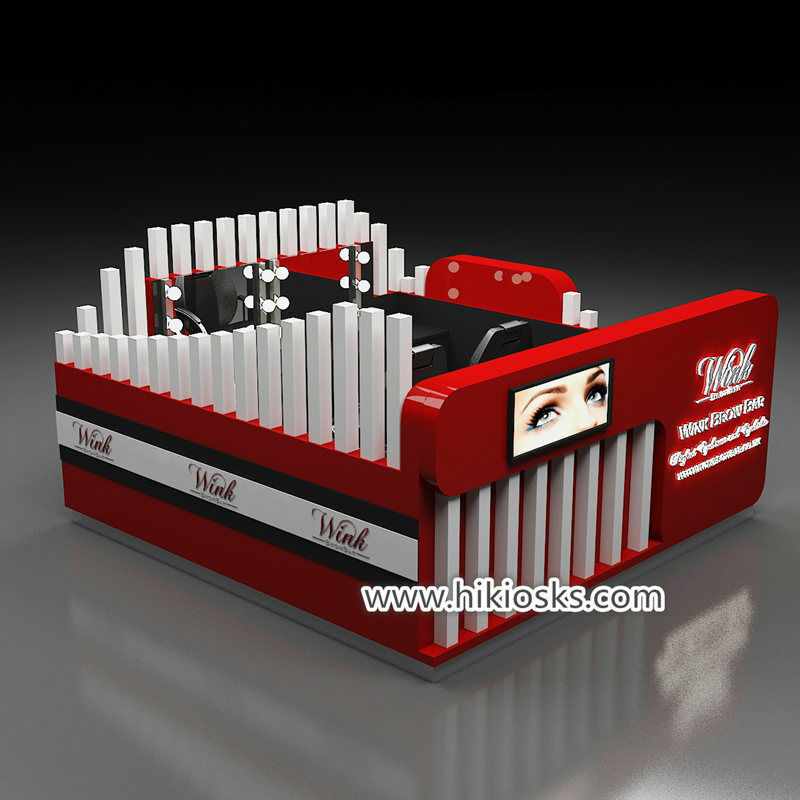 dear friends , we are professional custom mall eyebrow bar design real factory , if you are looking for mall eyebrow bar design , find us will is very right choose , we can custom eyebrow bar design based on your needs . how to custom eyebrow bar design ? 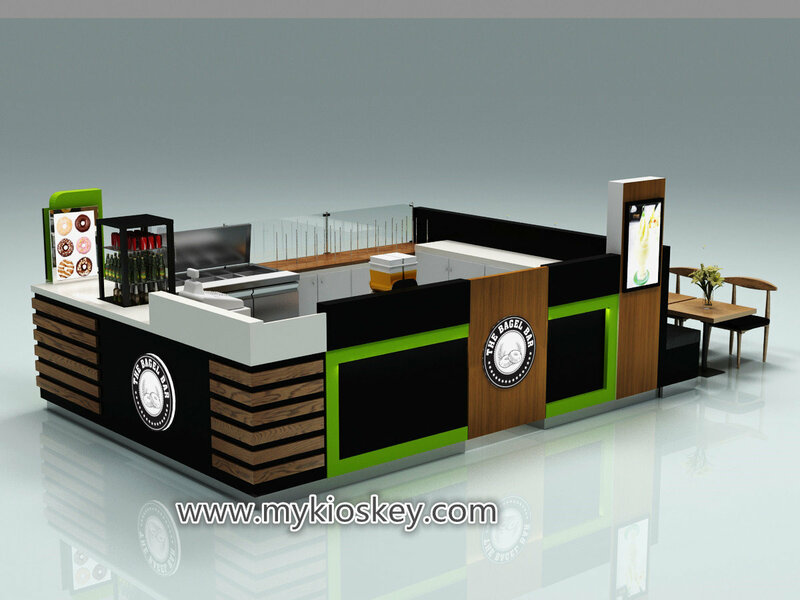 Tell me your information regarding your eyebrow bar design , including shopping area size, logo, branding and what things you prepare to sell. 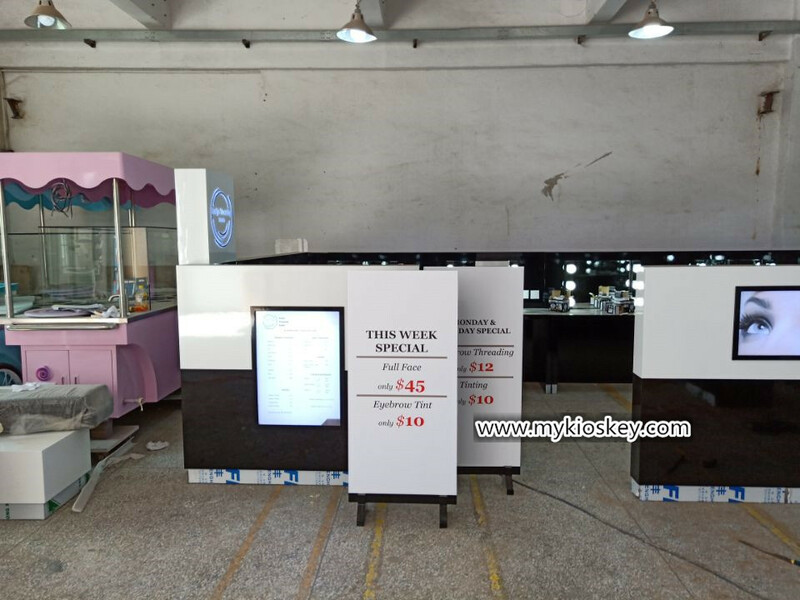 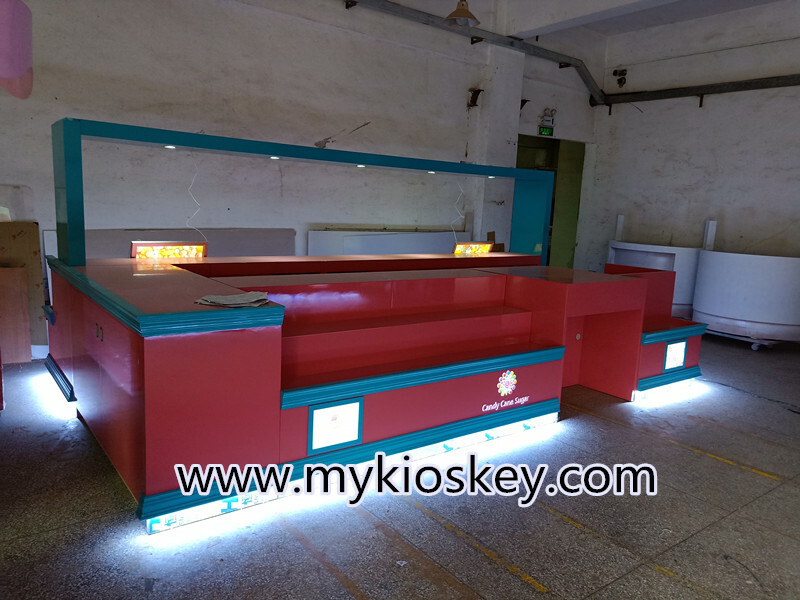 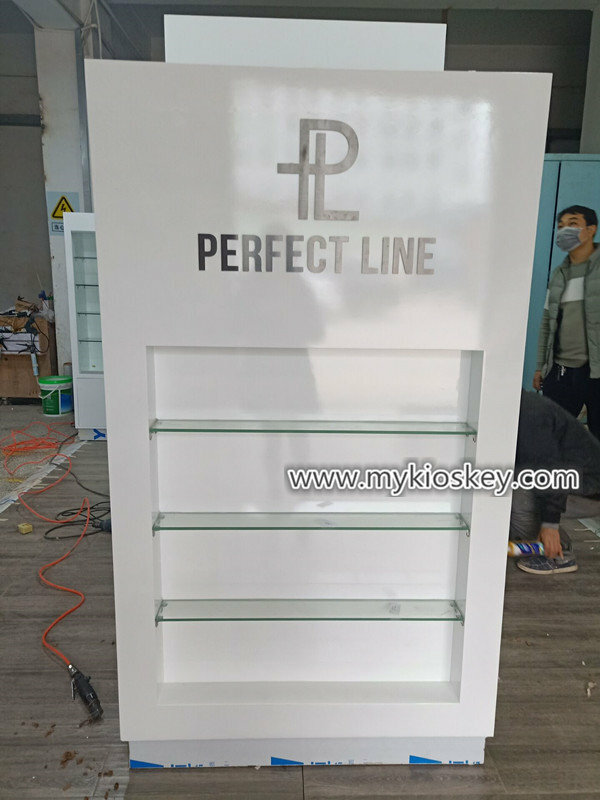 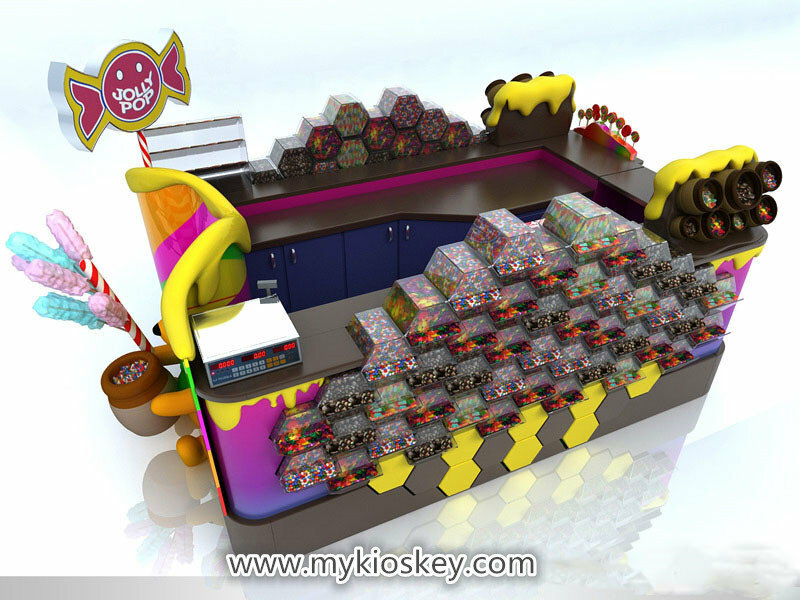 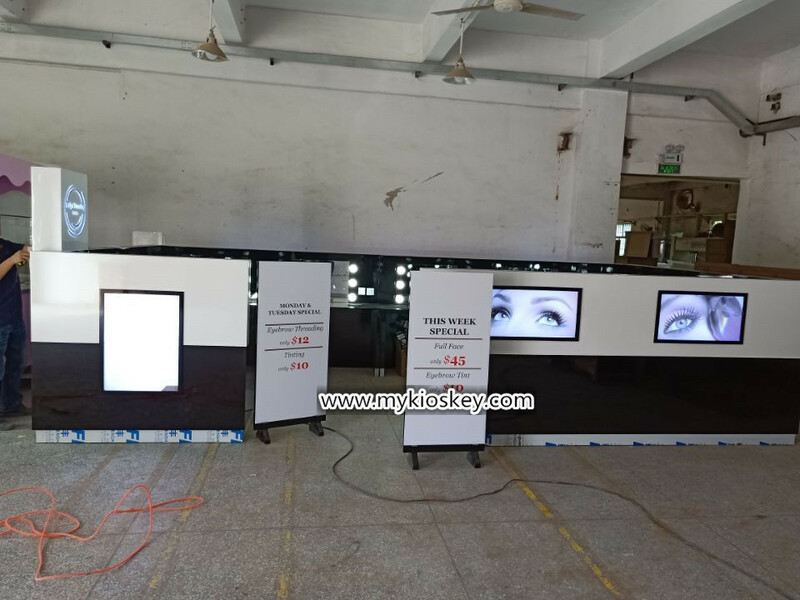 We can help you to buy some machines about eye-catching eyebrow bar design , delivered together with your goods for saving your some time and money. 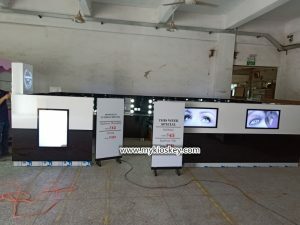 real production photo as below , you can see our quality .